Mark handles a variety of complex civil cases in state and federal courts throughout the New England region. He regularly defends product liability cases and other civil matters in Connecticut, Massachusetts and Rhode Island, and also defends such matters, pro hac vice, in New Hampshire and Maine. Representative clients include automakers as well as manufacturers of heavy construction equipment, forklifts, tools, ladders, scaffolding, aerial lift devices, paint, recreational products, and consumer goods. 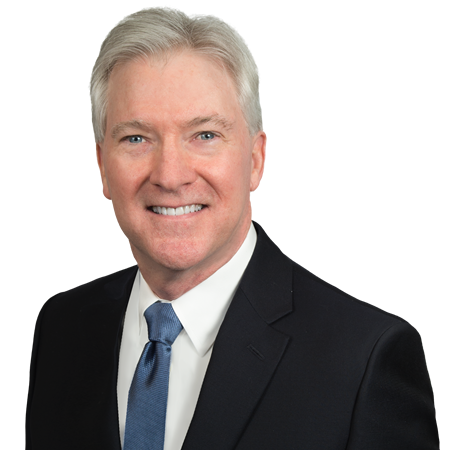 Mark also defends drivers and lessors of motor vehicles in trucking and automobile accident cases. He also advises insurers on insurance coverage issues including prosecution of declaratory judgment actions and the defense of first party claims and class action lawsuits. Since 1984, Mark has tried product liability, premises liability, negligence, insurance coverage, contract and various other types of cases in both state and federal court and has successfully argued before the Connecticut Supreme Court. Mr. Claflin resides with his wife and children in Wellesley, Massachusetts where he is active in Wellesley youth lacrosse, baseball and soccer. Koutsoukos v. Toyota Motor Sales, U.S.A., Inc.
Koutsoukos v. Toyota Motor Sales, U.S.A., Inc., 137 Conn.App. 655 (2012): Connecticut Appellate Court held that a plaintiff must produce competent expert testimony to get to a jury in a complex automotive crashworthiness product liability case. Haesche v. Kissner, et al. Haesche v. Kissner, et al., 229 Conn. 213 (1994): A seminal and frequently cited decision of the Connecticut Supreme Court on a manufacturer’s duty to warn in product liability case.